Text message auto-responders work only with our dedicated virtual numbers. 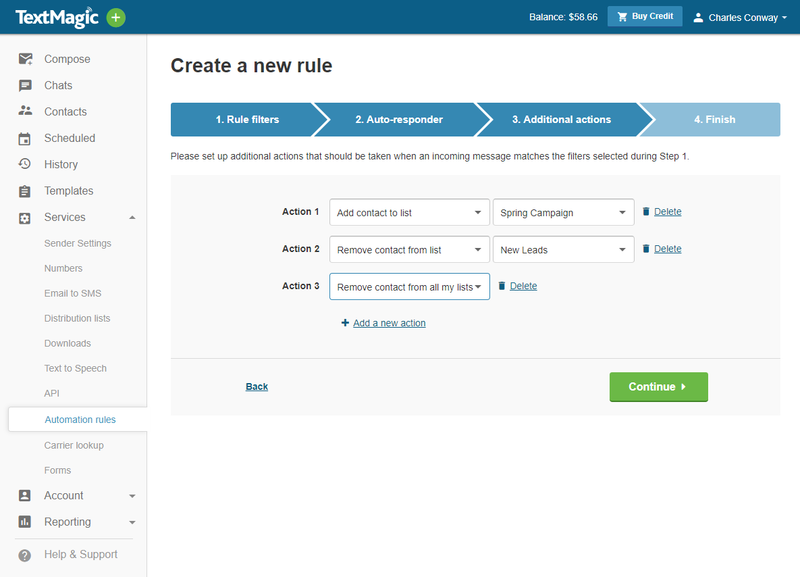 Send auto-responses to incoming messages. Automatically add people to lists, based on keywords in the received messages. 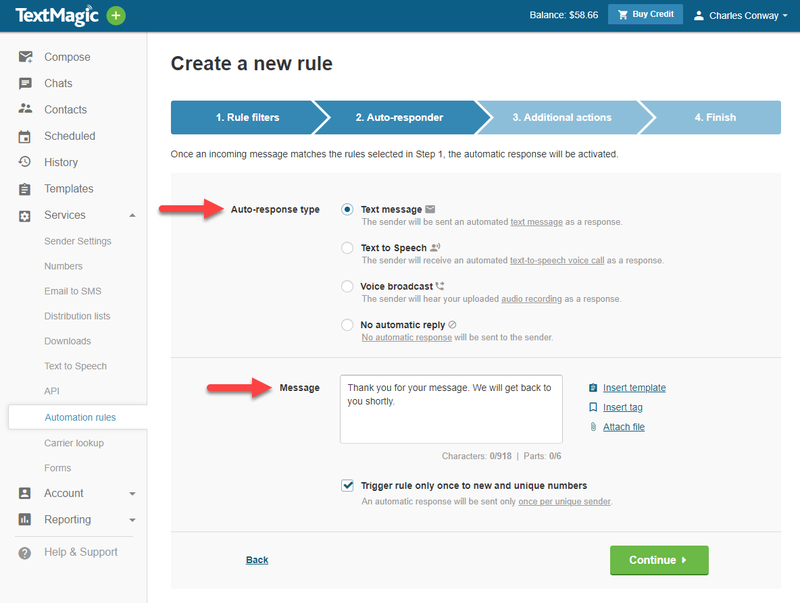 Please note: If you use a keyword in your rule, your keyword has to be in the beginning of the incoming text message to trigger an automation rule. 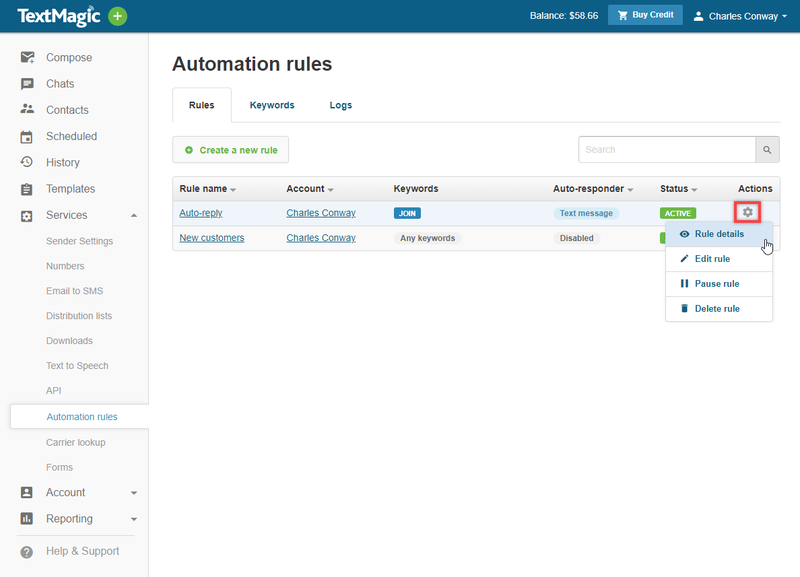 Select Services and then Automation rules from the main menu. Click Create a new rule. 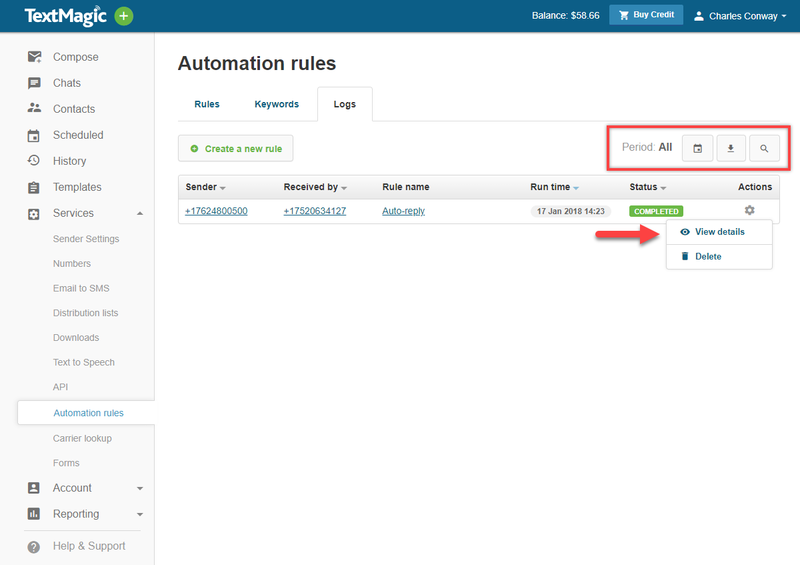 Adjust your automation rule settings. 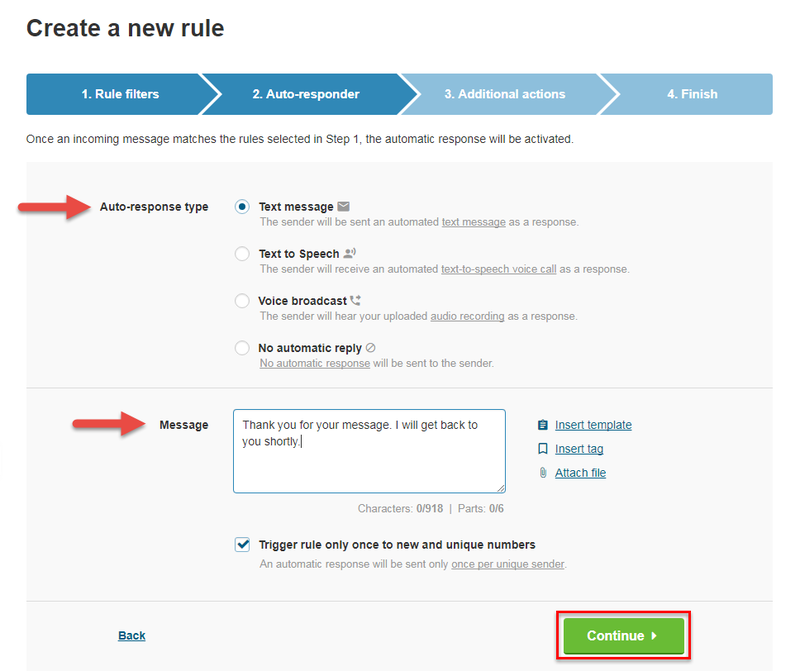 Choose an auto-response type and enter the message. 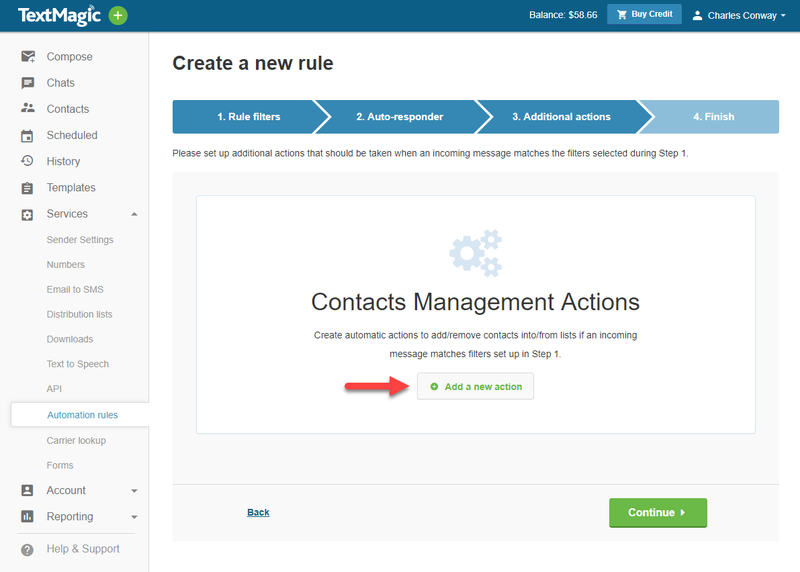 You can also add the Contacts Management actions if you want to add contacts to specific lists after receiving a message from them. Choose a list where the number should be added, or add another action. Congratulations, your automation rule has been set up. 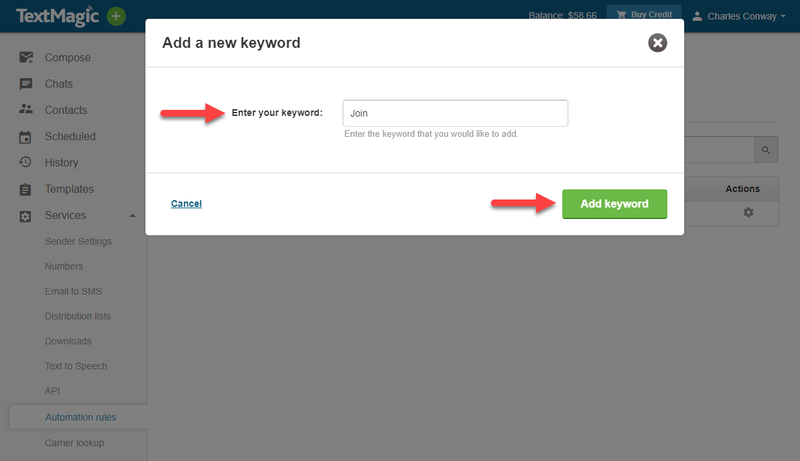 Click Add a new keyword. Click Actions to view the details or delete the log.